Transparency is very rarely any weight loss supplement’s strong suite. Anyone familiar with the weight loss market would have to agree that supplement companies use some of the most vague – and occasionally even misleading – marketing tactics that they can. Fortunately for you, reviews such as this one exist to give you the basic information regarding any weight loss supplement that you may be curious about. Of course, then there are the weight loss supplements that give you almost nothing to work with, diet pills and products with no lists of ingredients, no explanation for how they work and no mention of any possible side effects. With its cryptic, possibly fake website and unavailability anywhere else, LiShou seems like it just might be one of these mystery products, a supplement that you research even though you’re seeing red flags telling you to stay away from the start. But hey, let’s give LiShou the benefit of the doubt here and see what it can really do. While LiShou does not seem to have its own legitimate official website, research reveals that the product is produced by Yunnan Bai’an Medicinal Science & Technology Co. Ltd. This supplement company doesn’t seem to have its own website either, but a quick internet search reveals that YBMS&T has previously gotten in trouble with the Food and Drug Administration in 2019 due to LiShou’s secret and illicit inclusion of the ingredient Sibutramine, which was banned from the American market in 2019 after being linked to side effects as grave as stroke, artery disease and heart attack. 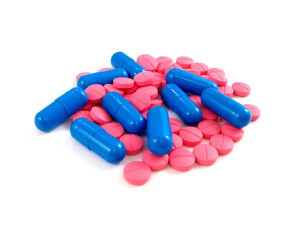 Undisclosed ingredients, let alone possibly lethal ones such as Sibutramine, are the biggest red flags a health enthusiast can come across when researching supplements such as this. You can’t trust a company who doesn’t tell you what they’re selling you, and if you can’t trust them, you shouldn’t buy from them. While not much is known about how LiShou works, it appears to act as a fat binder, attaching itself to the carbohydrates you ingest and making it impossible for your body to absorb and store them as fat. Instead of being absorbed, this far is simply expelled from your body through digestive processes, allowing you to eat without putting on weight. There are several websites masquerading as official LiShou homepages, but they all claim to be the only real one so it’s possible that all of them are fake. Regardless, each provides several positive testimonials written from the perspectives of satisfied customers, but given the fact that these reviews are written in the same broken English as the rest of the site, it seems very likely that these testimonials have been fabricated. Independent reviews of the product are hardly helpful either, unfortunately, as many users seem to experience different results and tend to argue with each other over which one of them might be taking the actual product while which of them might be taking a fake knock-off product. Bitter Orange: Also known as Citrus Aurantium or Synephrine, this ingredient is commonly used as a substitute for a powerful but controversially dangerous weight loss ingredient known as Ephedra. 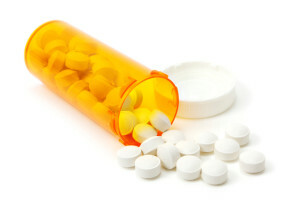 Unfortunately, some believe Bitter Orange to be just as hazardous to your health as Ephedra, so users are advised to ingest supplements containing Bitter Orange at their own risk. Lotus: This ingredient is a diuretic intended to empty the body of water weight through excessive urination. Tuckahoe: While this ingredient is allegedly capable of boosting your serotonin levels, it does not possess any known weight loss properties. Side effects of diuretic ingredients such as Lotus include dry mouth, dry skin, constipation and dehydration. LiShou does not seem to be widely available, which is a blessing in disguise considering its dangerous ingredients and likely lack of efficacy. Not only has LiShou previously been accused by the FDA of containing illicit ingredients hazardous to users’ health, but LiShou still contains controversial ingredients in the form of Bitter Orange Peel, which has been linked to such grave side effects as heart attack and stroke in the past. 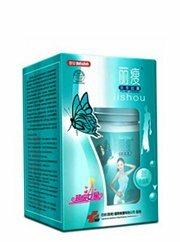 LiShou is a mysterious, allegedly fat-binding weight loss supplement that seems to be primarily sold through fake “official” sources peddling what may possibly be knockoff products. LiShou has gotten in trouble with the Food and Drug Administration due to a history of concealing illicit and controversial ingredients, one of which still apparently remains in the product to this day. Trust and safety should always be your top priorities when picking a health supplement. Regardless of whether it has the potential to help you lose weight or not, LiShou just seems to shady and untrustworthy to even consider. Could you tell me how fast I can burn fat if I’ll use LiShou? I feel uncomfortable with taking Lishou capsule. 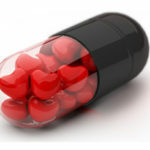 if any one get result with Lishou pls tell me after how much capsule u take & get result.